Manali in Himachal Pradesh is a beauteous location with high peaks and lush green valleys. It is near the Kullu Valley, at an altitude of 6726 ft above sea level. The river Beas flows through the town, creating an entrancing panorama. Manali is famous for adventure sports like trekking, hiking, paragliding, rafting, skiing, zorbing, etc. The closest city to Manali is Chandigarh. Many operators prefer starting the trek tour with Chandigarh as the starting point because of the proximity. It is also a famous honeymoon destination because of the calm and picturesque surroundings. Manali is a gateway to the Spiti valley and Leh. 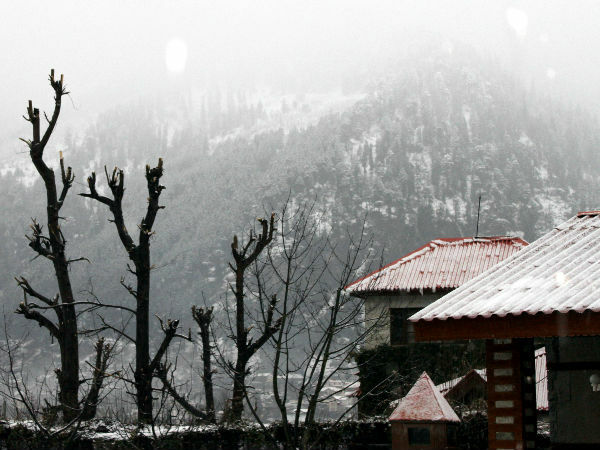 Manali is ideal for people who are looking to relax and revitalize in the lap of Mother Nature. Best Time To Visit: Manali is charming throughout the year. The summers in Manali are from March to June and the weather is very pleasant. The winters witness sub-zero temperature and is the ideal time to experience snowfall. Monsoons, from July to August witness heavy rainfall and landslides, and must be avoided. By Air: The nearest airport is Bhuntar airport in Kullu, 50 km away from Manali. There are many domestic flights connecting Delhi and Chandigarh to Bhuntar. You can opt for a pre-paid taxi to Manali. However, owing to the fluctuating weather conditions, airways is not the most sound option to get to or out of Manali. By Rail: The nearest railway stations to Manali are the Chandigarh railway station (350 km) and Ambala railway station (360 km). You would have to hire a taxi or travel in a private bus from here. By Road: The best option to reach Manali is by road. Chandigarh to Manali is approximately 325 km. Route 2: Chandigarh- Mangal- Barsar- Mandi- Bhuntar-Manali vi a NH 3. This pans a distance of 370 km and time of 8 h 45 m.
Route 3: Chandigarh- Panchkula- Batal- Mandi- Kullu- Manali via NH 154 and NH 3, with a distance of 306 km and time of 9 hours. Route 1 and 3 are the shortest, but Route 3 takes 1.5 hours more to reach Manali. If you opt for Route 1, then these are the attractions that you will find on the way. Leave Chandigarh early in the morning to avoid traffic. There are many Gurudwaras to visit in this area. The very famous Bhakra Dam is in the Rupnagar district. There are many security checkpoints and restrictions for foreigners visiting this dam. Avoid if you are pressed for time. Proceed to visit Virasat E Khalsa, one of the most unique museums in India describing the history of Sikhs and their religion. Visit Anandpur Sahib to see one of the most beautiful Gurudwaras located in the spurs of Himalayas, surrounded by mountains and the river Sutlej forming a border. Anandpur Sahib is famous for Holla Moholla, a Sikh festival. This is a 3-day affair in the month of March. Next you can get going to visit Rewalsar Lake in Mandi district. Also called the Tso Pema Lotus Lake, this lake has a lot of mythology associated with it in Hinduism and Buddhism. There are temples dedicated to Lord Shiva, Lord Krishna and sage Lomas here. There are also three Buddhist monasteries. This place also appears in the Mahabharatha in the burning of the Palace of Wax episode. Another lake called the Parashar lake is also very famous in this area. This is a sacred lake as it is believed that sage Parashara meditated here. There is also a temple dedicated to him, and it is said that a baby built this temple with a single tree. The oval shaped lake also has a floating island in it, which looks marvellous. The Pandoh Dam is built on the Beas river as an embankment dam. Surrounded by gushing water and lush greenery, this dam is a fine place to visit. Shikari Devi temple is 15 km from Mandi. After climbing to a height of 3332 m above sea level and offering prayers to the Goddess, you can enjoy the surreal surroundings. Make sure to witness sunset from here as it is one of the most gorgeous sights you will ever see. Kasol is a tiny village with quaint shopping streets and lush verdant environment. It is situated in the Parvati valley, which is a flourishing valley with colourful flowers and green plants. 15 minutes from Kasol is Manikaran Gurudwara. It is a major pilgrim centre for Sikhs and Hindus. It has a temple attached in the complex. With a backdrop of enthralling mountains, this place has natural hot water springs. This is a huge tourist attraction in this area. Some devotees are seen dipping rice in cotton bags in the hot water springs and it gets cooked within a few minutes. The Langar (food) at the Gurudwara is not to be missed. Simple meals cooked and eaten as a community bring people closer. Once you reach Kullu, you have enough options for trekking and other adventure activities. Rohtang Pass - This is an absolute must-visit on your trip to Manali. The roads to Rohtang Pass are closed from January to April, so it is best to avoid travelling on the pass during this period. It is at a height of 3979 m and offers many thrilling activities like mountain biking, skiing, etc. Mall Road - This is one of the best places to pick up trinkets and souvenirs. With many shops and restaurants, this place is always buzzing with activity. Do indulge in hot momos and thukpa here. Wash it down with butter tea. Hidimba Temple - This temple is dedicated to Bhima's (one of the five Pandava princes in Mahabharata) wife Hidimba. There is also a shrine dedicated to Ghatotkacha, the son of Bhima and Hidimba. There is a 3-day Hidimba festival in May. Vasisht Temple And Springs - This temple, dedicated to Sage Vasisht has a hot sulphur spring nearby. It is believed that this water has medicinal properties. There are bathing tanks ala Turkish Hammams separately for men and women. It is best to visit in the morning to avoid tourist influx and enjoy the bath in some privacy. Solang Valley, Parvati Valley and Beas Kund are also some of the must-visit places in Manali. With a beautiful view of the snow-clad mountains and glaciers, you can enjoy adventure sports here.